Greetings Family, Friends and Supporters, I am overwhelmed that today Feb 6th is the start of my 43rd year in prison. I have had such high hopes over the years that I might be getting out and returning to my family in North Dakota. And yet here I am in 2018 still struggling for my FREEDOM at 73. I know you know that the FBI files are full of information that proves my innocence. Yet many of those files are still withheld from my legal team. During my appeal before the 8th Circuit, the former Prosecuting Attorney, Lynn Crooks, said to Judge Heaney. “Your honor, we do not know who killed those agents. Further, we don’t know what participation if any, Mr. Peltier had in it”. That statement exonerates me, and I should have been released. But here I sit, 43 years later still struggling for my Freedom. 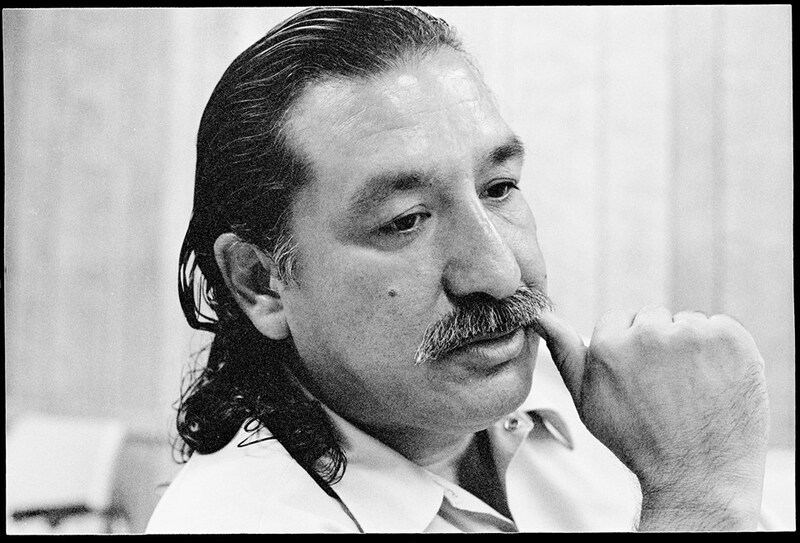 I have pleaded my innocence for so long now, in so many courts of law, in so many public statements issued through the International Leonard Peltier Defense Committee, that I will not argue it here. But I will say again I DID NOT KILL THOSE AGENTS! Right now I need my supporters here in the US and throughout the world helping me. We need donations large or small to help pay my legal team to do the research that will get me back into court or get me moved closer to home or a compassionate released based on my poor health and age. Please help me to go home, help me win my freedom! This entry was posted in Tribal Education and tagged Leonard Peltier, LRInspire by lrinspire. Bookmark the permalink. I love you brother. I am Robert Charles Lindsay. I am a former Marine Vietnam Decorated Combat Veteran. I read Dee Brown best seller novel Bury My Heart at Wounded the year it was publushed. You are in my soul and heart. I put myself at one with the universe. I put myself at one with you. bravery like this is rare, sending love and support from Ireland. feel helpless to help, Sir. Please let brother Leonard walk free so he can feel the rain on his head, the breeze in his face, the wind in his hair and the hugs of his loving family. Everything about how the government handled his case has been flawed, grossly unjust and riddled with contempt toward him. Please set him free. Prayers and blessings Leonard from your home the beautiful Turtle Mountains!!! We are still here! The system sure has been proved wrong initially by your youthful appearance. Tgw good Lord certainly has kept you intact. I pray that you will become a born again believer in Christ Jesus. Leonard I believe that you are innocent of the the deaths of those FBI agents. I’m prayers are with you. As soon as I figure out how to send monetary support , I help out with your freedom.